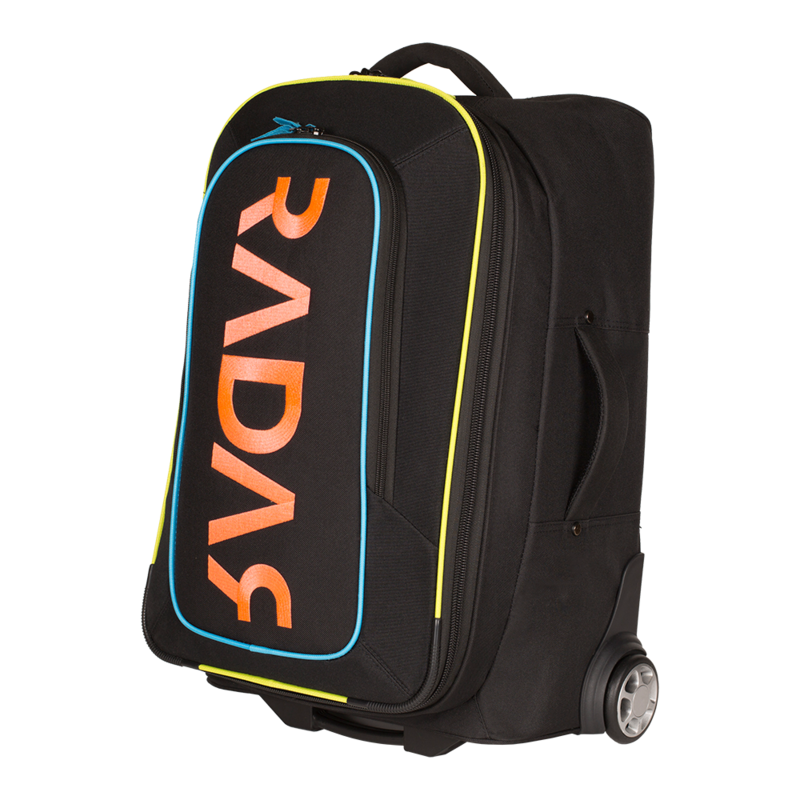 The Radar Rolling Gear Bag is perfect for transporting all of your gear to practice or to your next tournament. 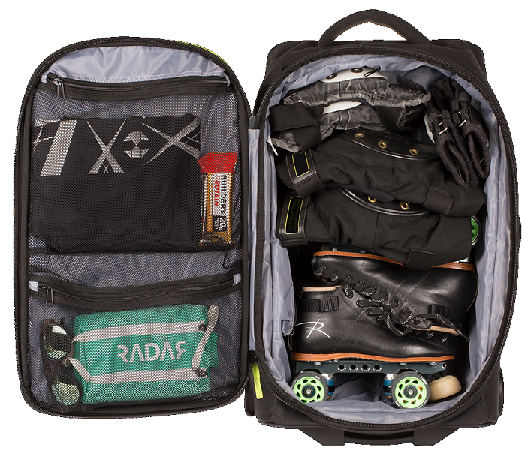 Easily holds skates, pads, helmet and lots of extras, with sporty embroidered logo. Durable base plate and rails protect the bottom and back of the bag. Love this bag! It's so durable with thick sturdy handles. Being 5'2", it's great having handles on the sides so I can pick the bag up off the ground a little more when necessary. It's also nice having a shorter option on the telescopic handle. I love the zipped compartment inside that fits an extra set of wheels perfectly. The front pocket fits extra scrimmage shirts and clean clothes and the interior mesh pockets are perfect for tools and stuff. More than enough room! Also love the fact that (as far as I can tell) it's airport carry on approved.